We face challenges head on. Through customized counseling, our licensed therapists will journey with you through your deepest struggles until you are mission ready for life. eHome Military recognizes the sacrifices made by military families. For those who have struggled with loss or return of a loved one from deployment, adjustment can be especially difficult. Many of our counselors understand these hardships and struggles of military life firsthand, as they too have served our country. You can learn about each of our counselor’s areas of expertise, certification, and unique skill set below. Mollie spent seven years working with adolescents in an educational setting before obtaining her Master’s degree in Professional Counseling from Liberty University. Mollie has experience working with individuals battling challenges ranging from anxiety, depression, and low self-esteem to bi- polar disorder, schizophrenia, and substance addictions. Being a military spouse, Mollie is very familiar with the dynamics of a military family and the accompanying struggles. She desires to help military families overcome the difficulties associated with that lifestyle. Greg has many years of experience working with those who are hurting. He has had the opportunity to provide mental health services to military personnel and their families, including presently counseling on a military base in Florida. Each session is individually focused on and addressed in a safe environment where we will confront your problems and explore options to move forward and to heal. Grant is a warm and compassionate clinician who delicately balances the therapeutic relationship between energetic engagement, professional intervention, and unconditional support. He recently earned his Masters in Social Work from the University of Maryland School of Social Work and earned his Bachelors in Social work though Taylor University, an accredited Christian university in Indiana. Grant is eager to build upon his experience and training as it relates to trauma and military clients. Carole has extensive experience providing crisis and trauma-related counseling. She helps her clients heal from a variety of issues such as grief and loss, depression, anxiety, PTSD, abuse, dissociative disorders, sexual offense, addiction, domestic violence, codependency and more. Ms. Miller has had extensive training in trauma and serves nationally in the Reconnection Workshop initiative, helping Veterans and their families via the Service to Armed Forces Branch, Washington, DC. Since getting his master’s degree, James has been counseling individuals and couples who are trying their best to take on their depression, anxiety, relational difficulties, and stress. James is a compassionate listener who brings wisdom, experience, and faith into his sessions. He has professional and personal connections to PTSD and suicide in the military, increasing his affection for military personnel. Susan received a Master of Arts in Professional Counseling from Argosy University in Nashville, Tennessee in 2008 and has had a wide range of experience in private practice and community mental health settings. As a result, she is equipped to address a wide range of mental health issues including depression and anxiety disorders, and has extensive experience working with PTSD. She is well trained in treating survivors of sexual assault and domestic violence. A key differentiator for eHome Military is our Sixth Sense™ counselor performance model, leveraging technology and the attributes of our successful counselors to select similar, high-performing therapists. These counselors undergo extensive background checks and complete online training courses prior to becoming an eHome Military counselor. 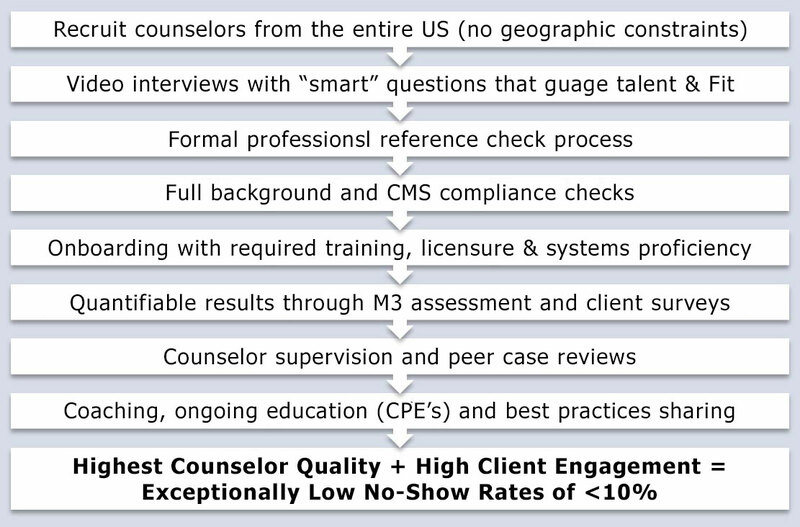 Using metric based feedback and client satisfaction surveys, our counselors are recognized for outstanding performance and coached in areas of opportunity. Call 800-650-0394 or click below to schedule an appointment. After years upon years of the first-hand experience in business management, investment & the executive world I am now ready to teach you the art of the biz! ©2019 eHome Military, LLC. All rights reserved.